Jacobus Rentmeester of Westhampton Beach, New York, had filed a Copyright infringement lawsuit in the U.S. District Court, District of Oregon alleging that Nike, Inc., an Oregon Corporation with place of Business in Beaverton, Oregon infringed a photograph taken by Plaintiff. 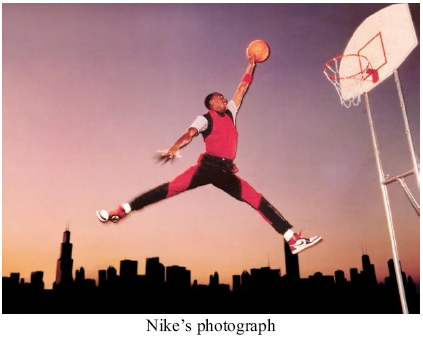 The photograph at issue in this case was the iconic photo of Michael Jordan upon which the “Air Jordan” brand logo is based. 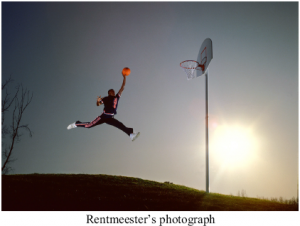 In the photo, taken by Nike shortly after Jordan was drafted by the Chicago Bulls, Jordan is seen mid-air, reaching towards a basketball hoop with the ball in his left hand and his legs spread. In the background of the photo is the silhouette of the Chicago skyline, with the dusk sky above it. The photo formed the basis for the famous Jordan Brand logo, which is a white silhouette of Jordan’s shape in the photo against a black background. Plaintiff sued Nike, claiming that their photo infringed on the copyright of a similar photo Plaintiff took of Jordan in 1984, while Jordan was still in college at the University of North Carolina. Plaintiff’s photo has a similar composition, with Jordan mid-air, reaching to dunk the ball with his left hand and his legs spread. 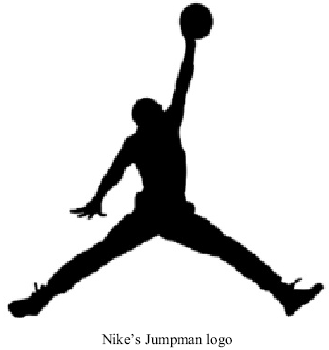 However, differences exist, such as the exact positioning of Jordan’s left hand and left leg, the background, the clothing Jordan is wearing, and the height of the hoop. This case was assigned to Chief District Judge Michael W. Mosman, and assigned Case No. 3:15-cv-00113-MO in the lower court; The Ninth Circuit Court of Appeals cause number is 15-35509.